Hader-Seitz was formed in 1993 when Hader Industries acquired Seitz, a manufacturing company. The acquisition forged a bond between finely tuned manufacturing methodologies and decades of hydraulics knowhow. With deep roots in the industry and a state of the art facility, the company found itself in a market flooded with demand for custom hydraulic products. It was good timing that paved the path for Hader-Seitz, but it was quality of the workforce that made the company thrive. Though the means to manufacture were established form the start, much of the credit for the survival of the company lies in the hands of its valued customers. Some of which have been with Hader-Seitz from the beginning. 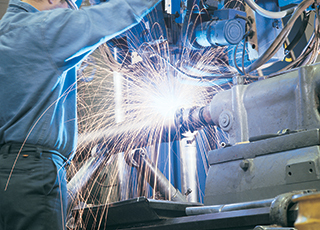 As the custom hydraulics industry has changed and advanced, Hader-Seitz has remained on the cutting edge with continual manufacturing improvements. By staying current with the latest manufacturing technology Hader-Seitz has made sure to keep the capability of meeting customers’ changing needs. Customers are the lifeblood of Hader-Seitz and the company strives to continually improve so their experience will always be a positive one. Over 20 years of growth, learning, and experience have positioned Hader-Seitz as a leader in the custom hydraulics industry. Though the times and technology have changed, Hader-Seitz's principles are the same, providing the highest quality custom hydraulics solutions by using the best technology available to produce the most satisfying experience for the customer.